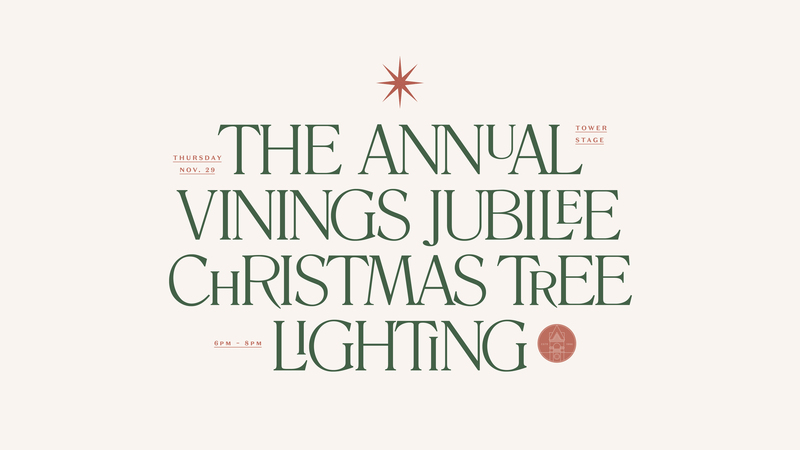 It’s Almost the Most Wonderful Time of the Year… Vinings Jubliee’s Annual Christmas Tree Lighting! It’s that time of year again! We’re ready for all of the beautiful lights, holly, homemade cookies, caroling + Christmas tree decorating! The best way to kick of this holiday season is at the annual Vinings Jubilee Christmas Tree Lighting. Gather all of your loved ones + join us on Thursday, November 29 at 6pm for a night filled with holiday cheer! There will be live performances of Christmas favorites, face painting, a balloon animal artist, cookie + ornament decorating, plus two Santa Express trains running around Vinings Jubilee. Don’t forget to bring your wish lists + get your cameras ready because Santa Claus himself will be making an appearance. For more detail read the full press release here.